Weapons choice. SKS vs AK vs mini 14 vs AR15 or other for SHTF / Teotwawki.. The best California firepower was. G30 10 rounds of 45acp. SKS internal 10 round magazine. M1A/M14 with 10 round magazines with no features = no bullet button. G19/G17 etc... with 33 rounders. I'd still say featureless M1A with 20-25 CMI or 30 round csspecs magazines. Or the mini you stated with 20+ rounders. Nobody needs to go to Commiefornia unless they are barking moonbats. Folks have all kinds of reasons to be headed to or thru California, without being moonbats. Family, work, shortcuts, any number of things. Some really nice country in California, well worth the visit alone. ...plus there are still some really nice folks down there. The state needs walled off. Commiefornia offers nothing that other states don’t except for extreme liberalism and punishing Americans while coddling illegals. Any “nice folks” need to escape that rathole. Possitive and negatives you have noticed and experienced. Why you would rather have or chosen a certain type. Weapons choice. SKS vs AK vs mini 14 vs AR15 or other for SHTF / Teotwawki.. also why are these so prominent do you think for those who are survival, backwoods, or prepper types? I am familiar with the M16/M4 and i like the 7.62 round and would choose that caliber over 5.56. The SKS has some length over AK, hence imo better shooting and increased accuracy. But i would use either or. So i would like to open discussion and hear what everyone else has to say. And i hope we help a inexperienced individual whom reads the posts later on. Dream on. That 5.56 will kill you just as dead as the "all powerful" .308. And that slick AR 10 or M1a won't shoot all that hunting ammo you found as well as good old ball which cost twice as much. 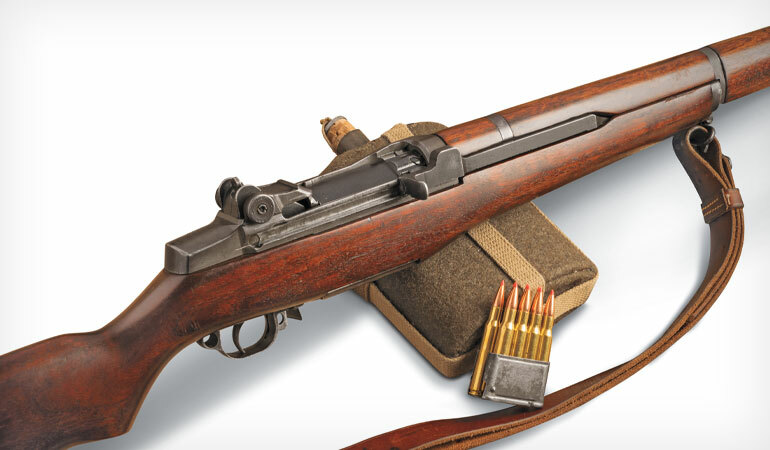 There's a reason the military descent issue the M 14 anymore. Shouldn't that be in a museum or hanging on a wall somewhere? Funny, when Federal was doing the rebate on hunting ammo I bought 15 boxes of it and so far 100 rounds of it has worked just fine in my M1A. So when I had the chance, I bought a RedJacket RS-PK, which is now my wifes rifle. I then bought a Molot VEPR for my self. And for my 16 year old son I bought an Arsenal SLR104. Though my boy wants a M1A for his birthday in June. I have been stacking ammo for my families rifles and I am now at the point where we have more then enough 545x39 that when the dems steal the election in 2020, and tshtf, we will be ready with reliable rifles and more the enough ammo. My Father, who served 27 months in Vietnam with 5th Special Forces Group had a saying: AK's always work. I've owned AR's, AK's & Mini-14's. While I never owned an SKS I have several friends who have/do own them & got to shoot them a fair bit. I like the AR & AK's very much, I've always wanted to like the Mini-14 but they are horribly inaccurate. Any of the 3 others will out shoot a mini-14 all day long. I would put the AR & AK at the top of the list of the 4 options given, with a slight edge to the AR for me. While the mini-14 isn't very accurate, it is much lighter & can be had in stainless steel. You can also get a mini in 7.62x39 (mini-30) so deciding between a mini-14/30 or SKS, I might still be inclined to go with the mini, I think it would depend on a persons situation & what ammo they already have a lot of on hand. One of the reasons I'd tend to put the AR at #1 is that it can be had in multiple calibers, some utilizing the same magazine & bolt as 223/5.56 so a barrel swap or if you want a complete upper swap only takes pulling 2 pins to change around. If the SKS came in stainless and was a bit lighter & more compact, I'd put it ahead of a mini quite easily. That's just me though, as they say YMMV.